Why we choose Coolscuplting by Zeltiq? Zeltiq was the first company to develop the cryolipolysis equipment made to exacting standards. The Zeltiq device is safe to use and with very strong security checks. Epilium & Skin chose the Zeltiq CoolSculpting process because it offers the highest level of care. Therefore Epilium & Skin provide comfort and efficiency system for patients seeking to reduce fat in the treated area. 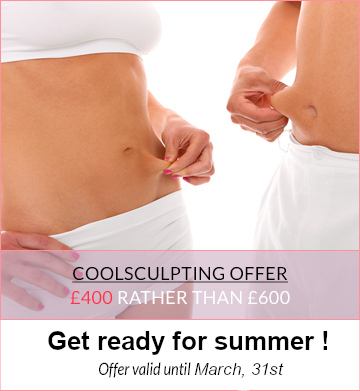 FDA (US Food & Drug Administration) following a number of clinical studies, approved the CoolSculpting process. Subsequently its patented technology was awarded a CE certification in 2010. It is the only technology based on the patented method of cryolipolysis to safely target and eliminate subborn fat in love handles, abdomen, saddle bags or arms. The Zeltiq cooling process works by extracting heat from the tissue area and thereby avoids the risk of cold burning that is sometimes experienced by patients using a different treatment protocol and clinic. With CoolSculpting, the process guarantees apoptosis, operating at a constant temperature between -9°C and -10°C throughout the duration of the treatment. This element is essential to the apoptosis process. Zeltiq has developed and patented a technology known as “Freeze Detect” which provides protection for the skin and as a result avoid risk of burn. The machine will stop automatically should it detect variations in the temperature of the treated area. Zeltiq process only target the fat cells underneath the skin and has built in safety check to leave the skin unaffected. Another advantage to using the CoolSculpting process is the critical distance between the sidewalls of the applicator. Studies have shown that this is key to ensuring uniform cooling. Finally, the CoolSculpting compression system decreases blood flow to the treated area and thereby enhances cooling across the whole of the treatment area.